These single hand & paw impression designs are part of the Spring 2010 Collection. Intricately painted borders and corner stamps with a matte background promise that these designs can be hung in any room of your home. 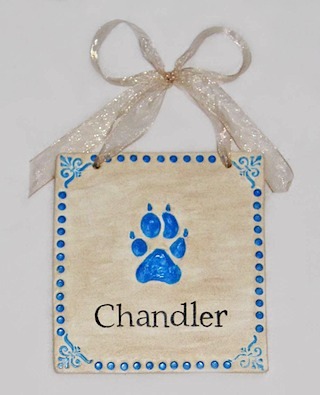 You can choose any colors you wish for the hands/paws, borders and corners. 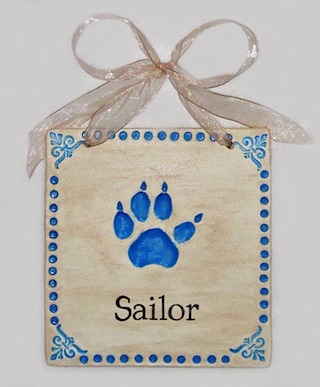 Add an additional hand, foot or paw for only $10 each. Upgrade to Boutique vs. Basic Ribbon for only $3 each. The samples shown above are brother, sister and the beloved family pets. These designs as you see them above are $62 each.